Thanks for another great edition of OBM, which really is a top publication these days. Your front page picture is always interesting, and as an active Cotton enthusiast I found last month’s particularly so. 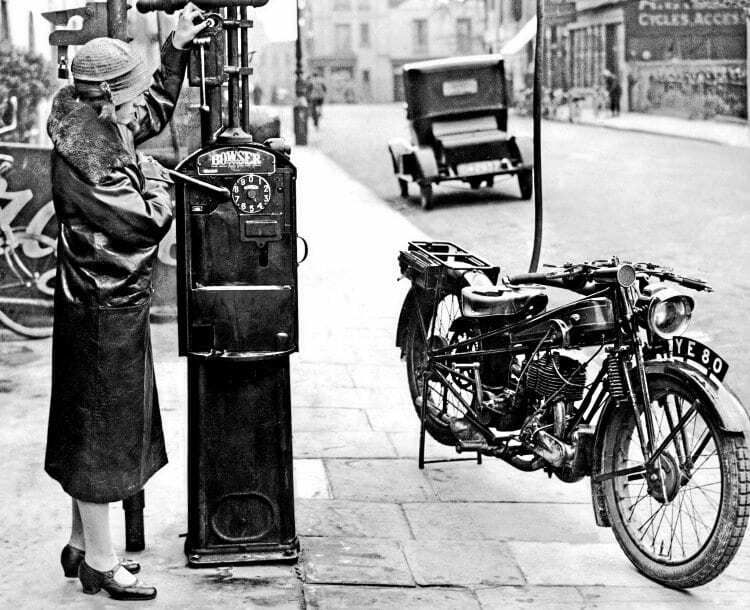 The side-valve Cotton seen in last month’s cover shot was a 350cc Model 7 or a 500cc Model 8, and the company’s famous patented triangulated frame was particularly suitable for female riders. £48 15s and the five-hundred at £54 10s. Lighting was an extra. The Cotton Motor Company started production in 1919, and all models featured the Cotton patented triangulated frame, whose advantages were listed at length in all Cotton literature. A specific heading extols the suitability for female riders, the most notable feature being the low saddle height and riding position scientifically placed near the machine’s centre of gravity. I wonder if this was an original Cotton publicity picture? Interestingly the registration, YE 80, is a London Central number. The 1920s are still considered by many to have been the golden age for motorcycling, when low traffic densities and reliable transport offered a whole new world of adventure at a cost, in current-day values, of £3000 for the race-proven Cotton, with 1927 representing the golden age for the factory, with that year’s production at just below 1000 bikes. Although a small manufacturer in the scale of things, Cotton machines were made in Gloucester until the late 1970s, and the Cotton Owners’ Club is active in keeping the marque alive. I am a past editor of the club magazine and still contribute the occasional article, but these days my main contribution is giving illustrated talks on the pre- and postwar Cotton story. Read more Letters, Opinion, News and Views in December’s issue of OBM – on sale now! Previous Post:Holidays with a Rudge-Whitworth outfit and caravan – for 130 guineas the lot brand new! Next Post:Happy 50th birthday, Norton Commando!